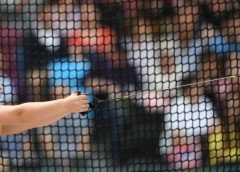 It was a week that went entirely to plan for the top seeds at the New Zealand Secondary Schools Championships, with both Westlake Boys’ High School and Macleans College coming through the boys’ and girls’ competitions undefeated. 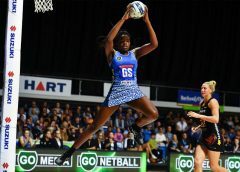 Both teams showed they deserved their seeding, with their skills and experience being tested in two knife-edge contests with the eventual runners-up, Saint Kentigern College and Westlake Girls’ High School. Westlake Boys’ started the week in strong fashion, with convincing 6-0 wins over both Southland Boys’ High and Macleans College. Their tie against Avondale College was another comfortable affair, dropping only one Men’s singles, against Dacmen Vong. The competition heated up with a 4-2 battle against Hamilton Boys’ High and came down to the wire against dark horses Saint Kentigern College, whose line-up featured two New Zealand age-group representatives – Jason Seto and Ryan Tong – with Westlake eventually succeeding 3-3, 8-6. The team rounded out the week with another pair of strong wins, defeating classmates Westlake Boys’ High 2 6-0 before toppling second seeds Auckland Grammar 1 in another comprehensive 6-0 performance to secure the national title for a second consecutive year. In a testament to the quality of the Championships, Saint Kentigern College, Hamilton Boys’ High and Auckland Grammar 1 all finished in a tie for second place, with Saint Kentigern edging Hamilton Boys’ High for the silver. 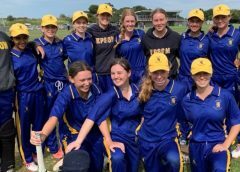 Top seeds for the fourth consecutive year, Macleans College were determined to overcome the disappointment of past years and finally take the national secondary school girls’ title. Early in the week, it became clear that the biggest threat to their success would be long-time foes Westlake Girls’ High, who were also enjoying comprehensive victories against every opponent. 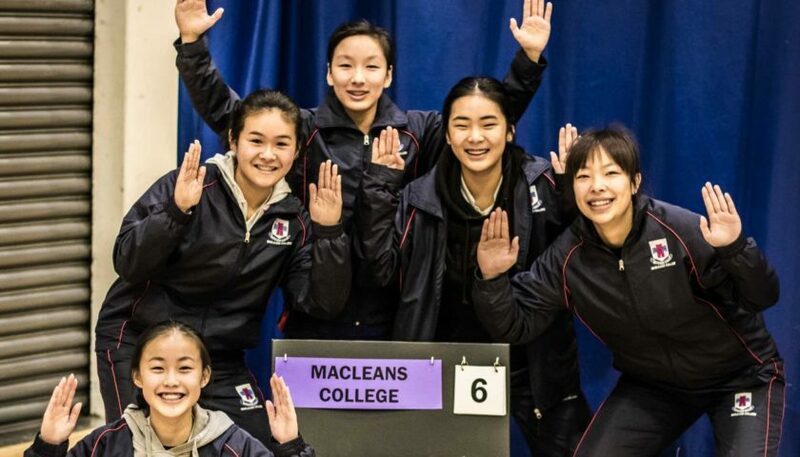 With the final showdown scheduled for Thursday afternoon, Macleans were careful to manage the workload on their players, resting national champion Sally Fu on several occasions, to ensure they were as fresh as possible for the decider. It may have just been the difference they needed, as the tie wrapped up at 3-3, with just one game and 19 points separating the sides. Rangitoto College stepped up to take the bronze medal, with a 3-3, 8-6 win over Palmerston North Girls’ High. 1. Westlake Boys’ High, 2. Saint Kentigern College, 3. Hamilton Boys’ High, 4. 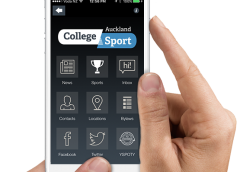 Auckland Grammar 1, 5. Macleans College, 6. Southland Boys’ High, 7. Westlake Boys’ High 2, 8. Avondale College. 1. Macleans College, 2. Westlake Girls’ High, 3. Rangitoto College, 4. 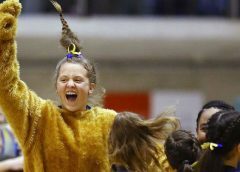 Palmerston North Girls’ High, 5. Wellington East Girls’ College, 6. Taradale High, 7. Hutt Valley High, 8. Havelock North High.